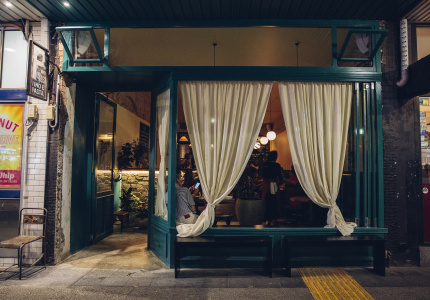 Conveniently located next door to Zumbo’s macaron heaven, The Workers is a small door, staircase and red neon sign away from the Darling Street hum. 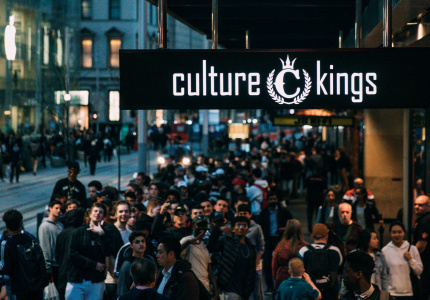 Upon entry, you’ll find Alice in Wonderland-inspired furniture, a good measure of fluoro and leopard print Louis XV lounges, some vibrant foliage decorating a wall and gigantic portraits of illustrious Labor Party leaders Bob Hawke and Gough Whitlam. 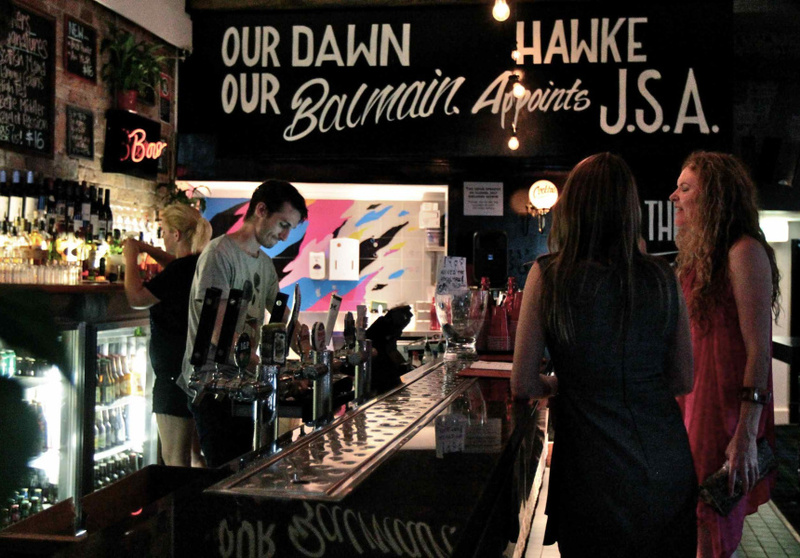 Despite this curious dichotomy, The Workers is both a respectful nod to Balmain’s rich Labor Party history and a hip weekday watering hole for locals and those beyond the Anzac bridge. 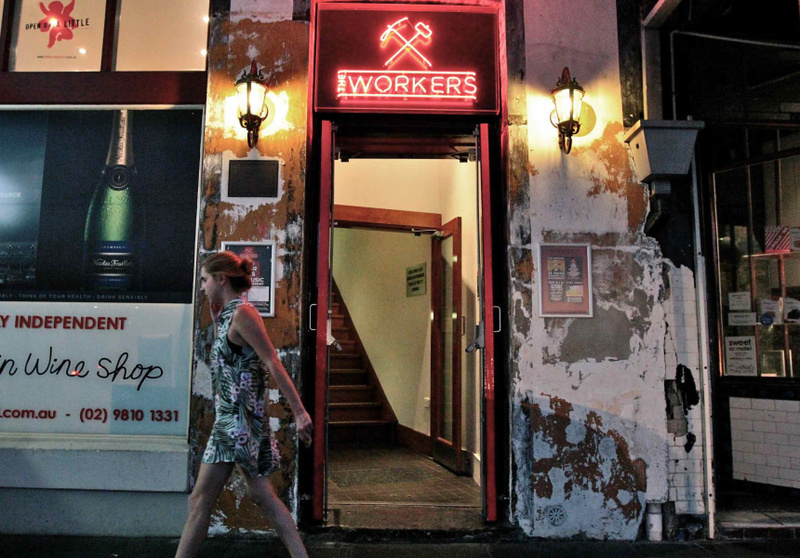 The Workers boasts a decent cocktail list, unrivalled bartender ability and an aim to introduce folk to drinking spirits they would usually overlook. Indeed, rum doesn’t always mean Bundy – here, it’s infused with almonds and coffee beans – and a shot of Highland Blanco tequila has a sweeter taste when it’s followed by a Verdita chaser (blended pineapple juice, lime juice, coriander, mint and a jalapeño). If this isn’t your thing, keep the menu’s ‘whatever you want, we will make’ advice in mind. From nuts to chicken wings and tacos, an agreeable selection of bar snacks contributes to the general American/Mexican/Australian flavour of the menu. 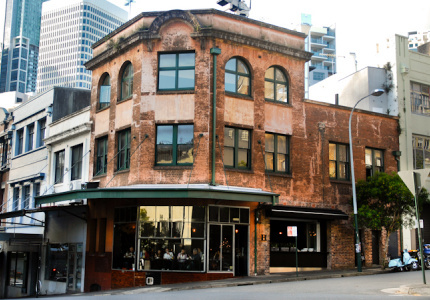 Each night of the week offers something special ($4 Sunday Slider Cider Sessions, for example), alongside live music on Thursdays (titled Red Door Sets) and DJ sets on the weekend. 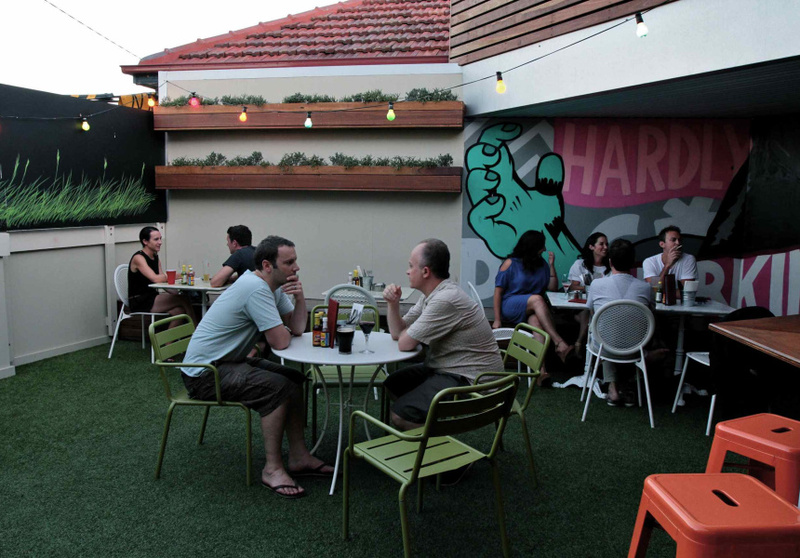 Take a seat in the spacious bar, or the colourful, astroturf outdoor seating area. 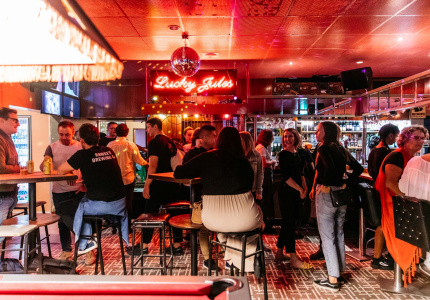 Officially opened by ex-PM Bob Hawke and led by former LO-FI mixologist Ben Johnson, you’ll be choosing the right party at The Workers.